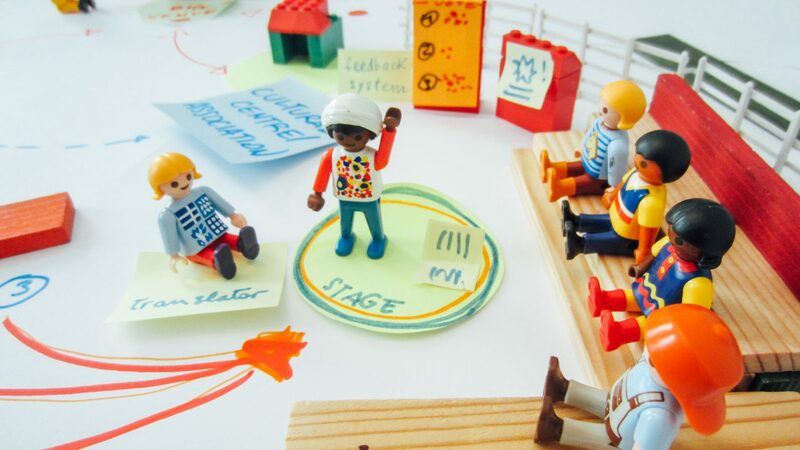 Applying a systemic design approach to design a Brussels-based service system. Soundabout is the thesis project of newly hired Namahn employee Sabrina Tarquini. The project rises from the adoption of a systemic design approach, and aims at fostering integration and social cohesion between the different communities living in Brussels, through the opportunities offered by the variety of the local music scene. Brussels is a multicultural city with 163 nationalities, often characterized by phenomena of spatial segregation. With its different levels of government and 19 distributed municipalities, the city displays a rather scattered landscape of cultural centers, music venues and concert halls. 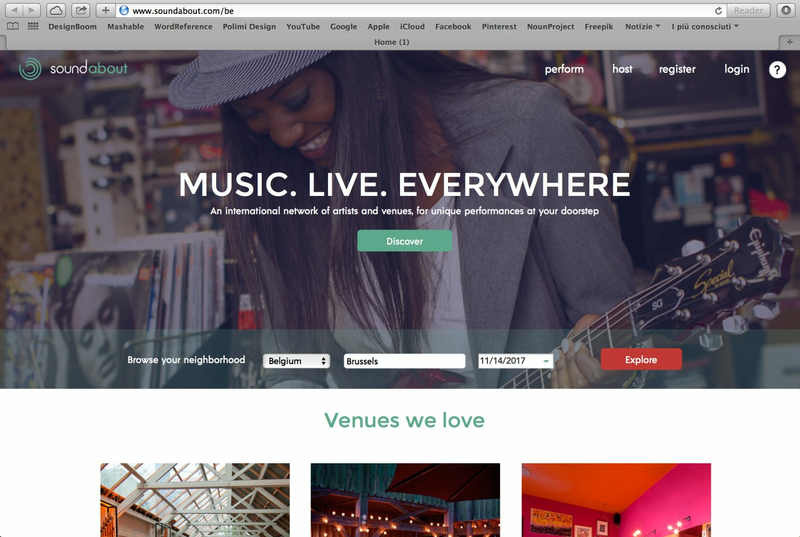 The thesis project wants to use music for binding the communities in Brussels, and come up with a platform that brings local musicians and potential audiences together, not just fostering occasions of encounter, but also encouraging and facilitating access to the local music scene for both artists and audiences. 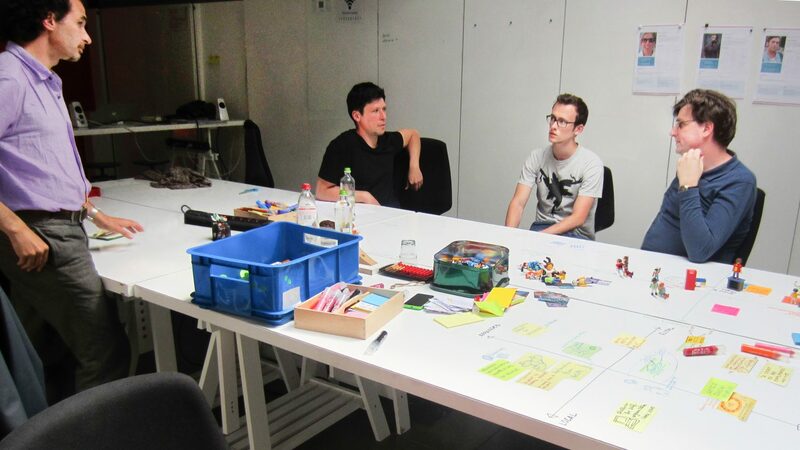 Generation of scenarios of use, using the techniques of serious play and storyboarding. All these steps were guided by co-design sessions with the involved stakeholders. 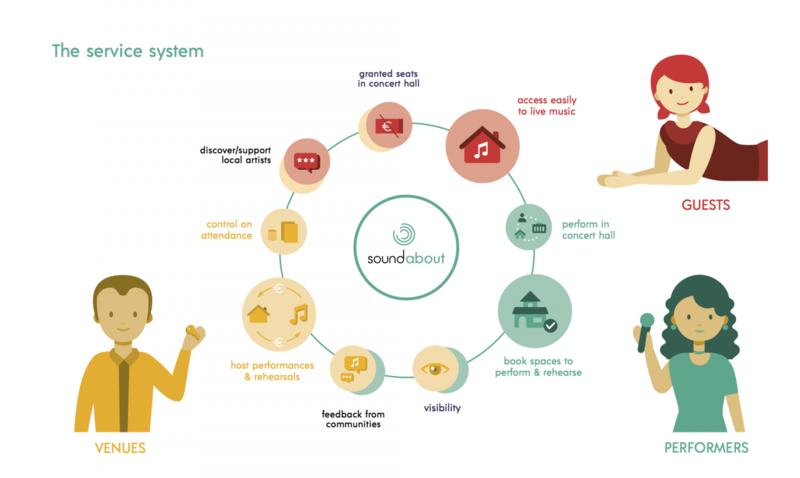 The Soundabout service system foresees, as main touchpoint, an online platform which connects performers, venues and potential audiences. 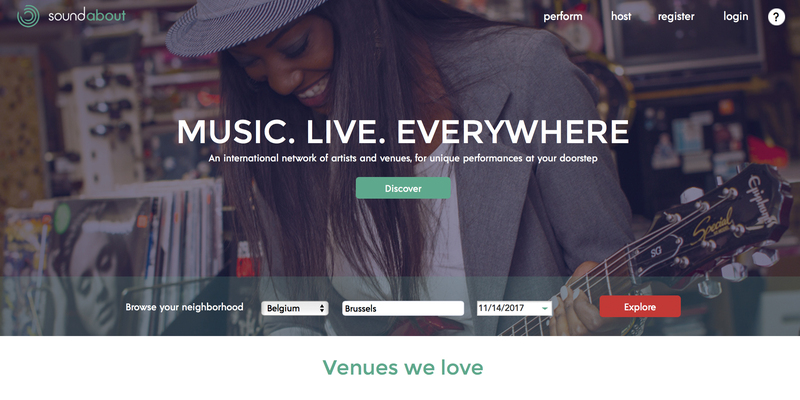 It allows the booking of music performances and rehearsals in venues throughout the Brussels region, thus facilitating the circulation of performers within private and public venues as well as their access to the local music scene, and encouraging potential audiences to come in contact with local performers. The thesis document contains a full description of the service system including actors, scenarios and user journeys, a listing of the touch points, a mock-up of the online application, a visual identity, a business model and a financial plan.